Power! Comfort! And love for a lot of dirt. 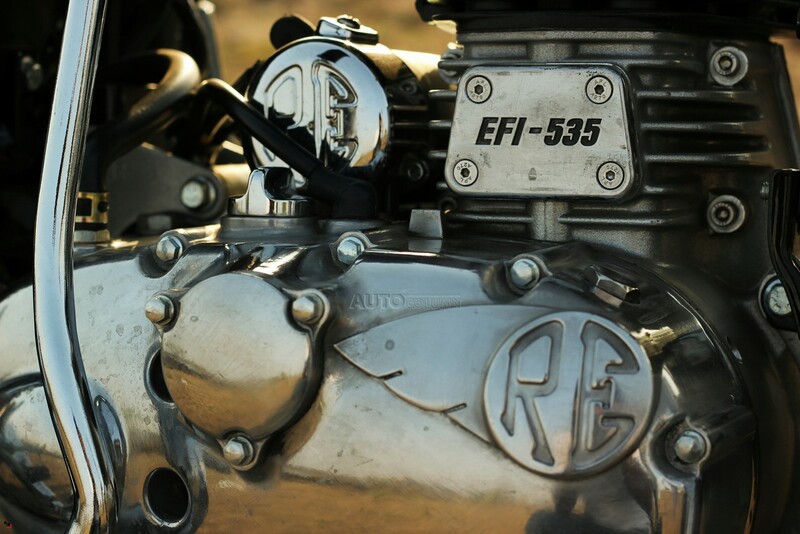 These were the ingredients chosen to create the perfect Royal Enfield. But then they accidentally added an extra ingredient to the concoction. Chemical SPEED! And thus the Cafe Racer was born, with its stunning looks and high performance The Continental GT will redefine the world of biking. 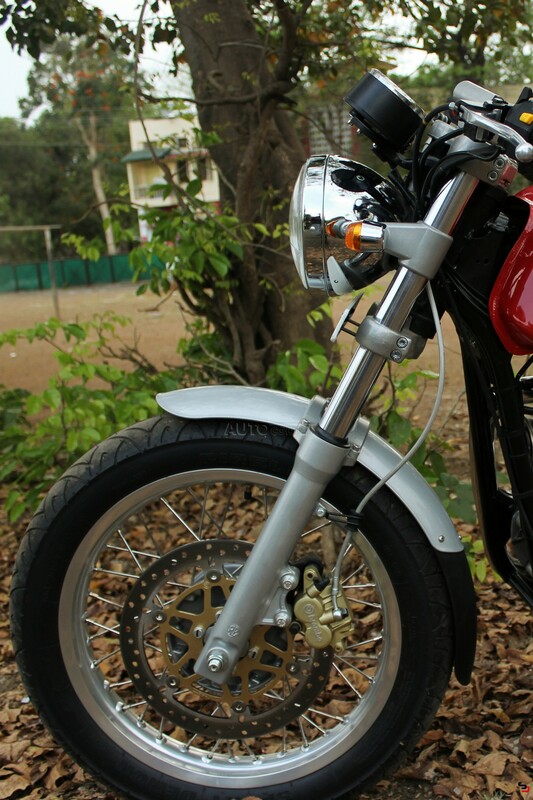 Now even though it’s called the Cafe Racer, it’s a cruiser, it has to be, after all it’s a Royal Enfield, or is it? 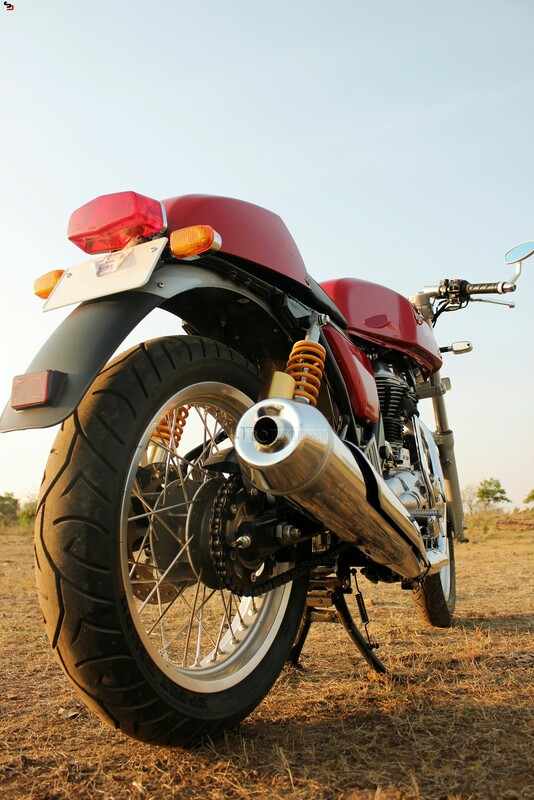 With its new flagship product, the Continental GT, Royal Enfield is all set to change its stereotyped market image of slow, bulky and hard-to-maneuver cruising bikes. Continental GT derives its DNA from the cafe racing culture popular in Britain and other parts of Europe in the 60s, where individual riders used to upgrade their bikes for short distance races between cafes. 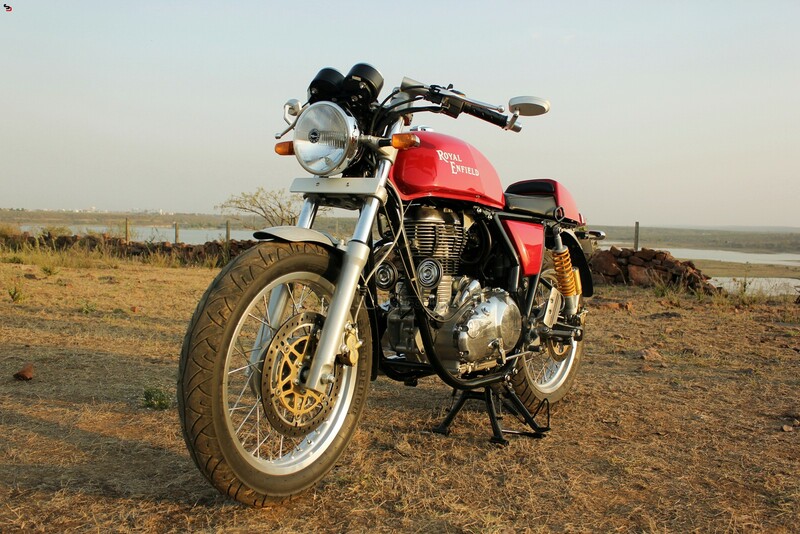 Now talking of the design, I could not help noticing since the very first glance that the bike reminds me of Ducati Sports 1000, with the lipstick red clean paint job and low ride handle bars. But don’t be judgmental because the design, though derived is from its predecessor, the original Continental GT launched in 1965. And though I firmly believe that design is subjective to taste, it is nearly impossible for anyone to prevent themselves from drooling at the beauty cloaking the beast. The slick elongated fuel tank, clip-on mirrors, large 300 mm disc, high mounted mud-flaps and ample use of chrome and brushed finishes makes the perfect recipe for what’s called “Irresistible”. RE has paid attention to every minor detail regarding the fit and finish and is apparent even on closer inspection. All the buttons and livers feel notch free and proper to sight and feel. 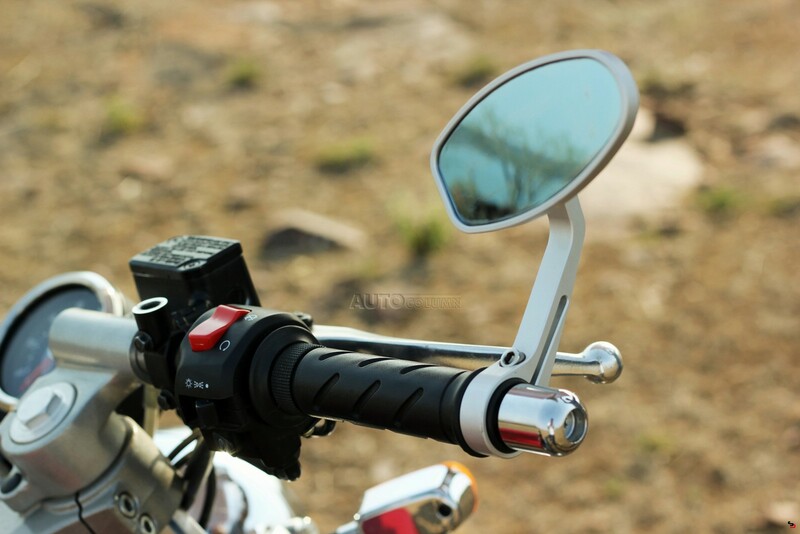 The clip-on mirrors are all aluminium imported from Britain, and gives a the sense of speed and are also practical with the low riding position, but sadly due to regulatory issues in India they won’t be available as standard. 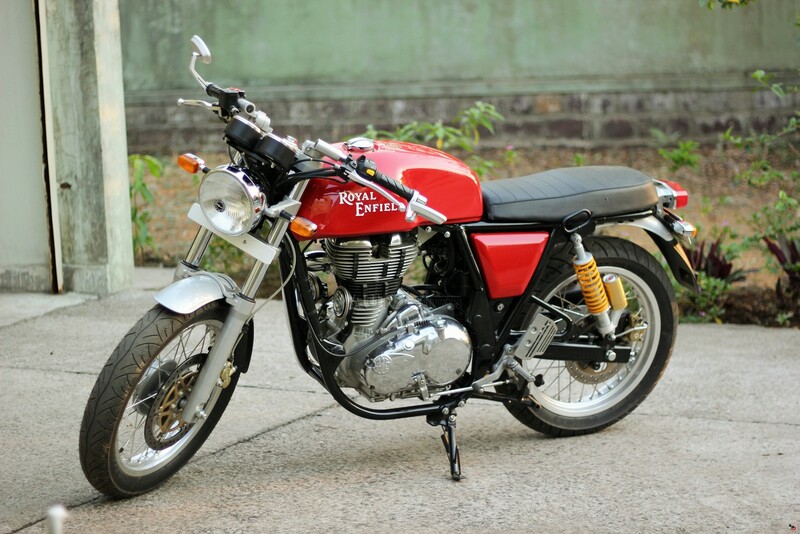 The seat installed on the Continental GT is a slim foam made only for a single rider, but don’t be disappointed, if someone does want to have a pillion, Royal Enfield has a neatly crafted double rear seat that comes cover matching the design lines of the tank and looks even better than the sporty single seat. 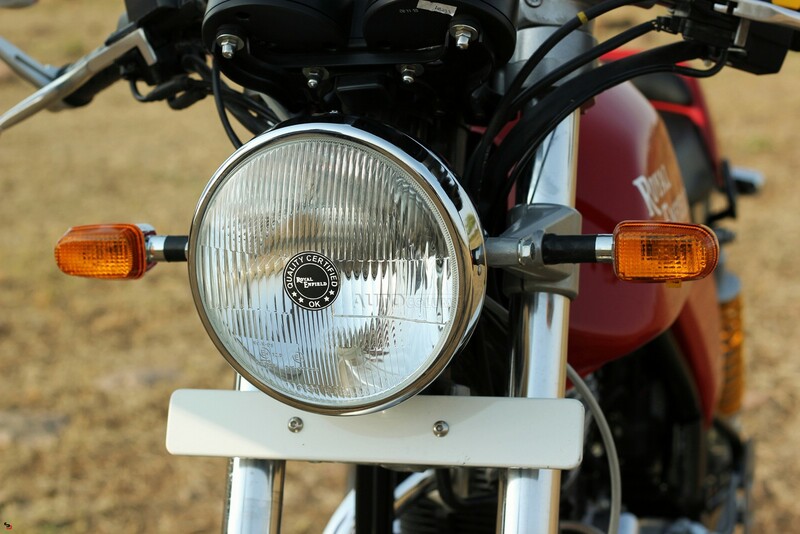 The headlamp is the standard single bulb round, though I personally feel that the angle’s eye projector lamp of the Thunder 500 could have added to the sporty feel of the bike, but as of now there are no chances of getting them as RE did not want to mess with the original looks of Continental GT. The design transports you to the good old 60s racing days yet giving subtle hints of a futuristic machine. 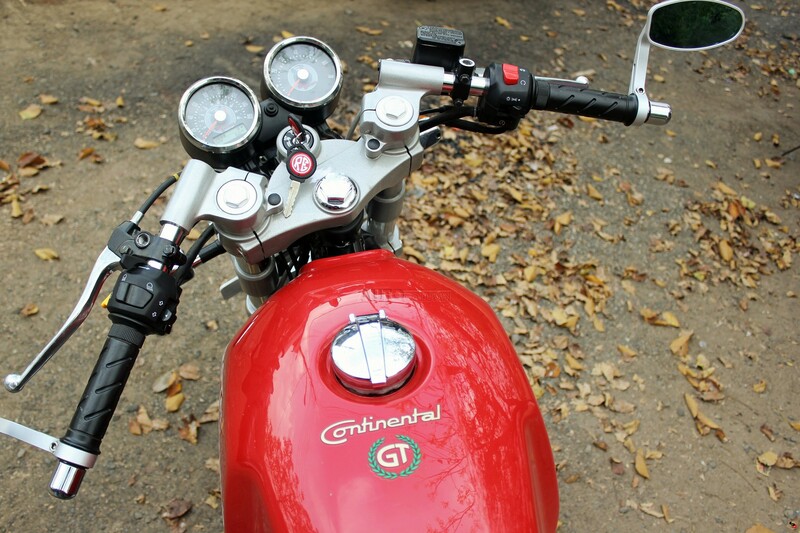 Talking about the numbers, Continental GT features an upgrade to the 500 cc air-cooled engine, re-bored to 535 cc and fitted with keihin electronic fuel injection, though I am still confused why a mechanical choke has been provided with the fuel injection system or how it actually works. The power plant now quenches 29.1bhp at 5100rpm and 44 Nm of torque at an early 4000 revs, a lighter flywheel is fitted to make it rev quicker and is mated to a 5-seed gearbox. 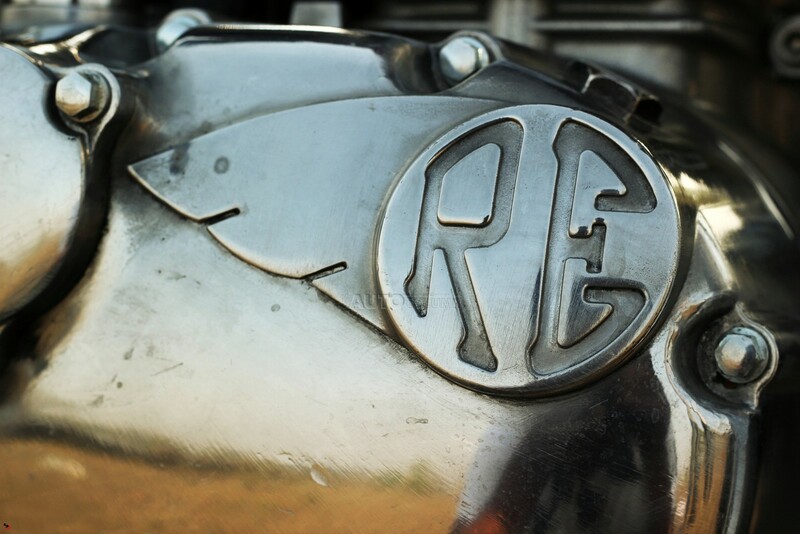 With the immense power of the engine R.E. 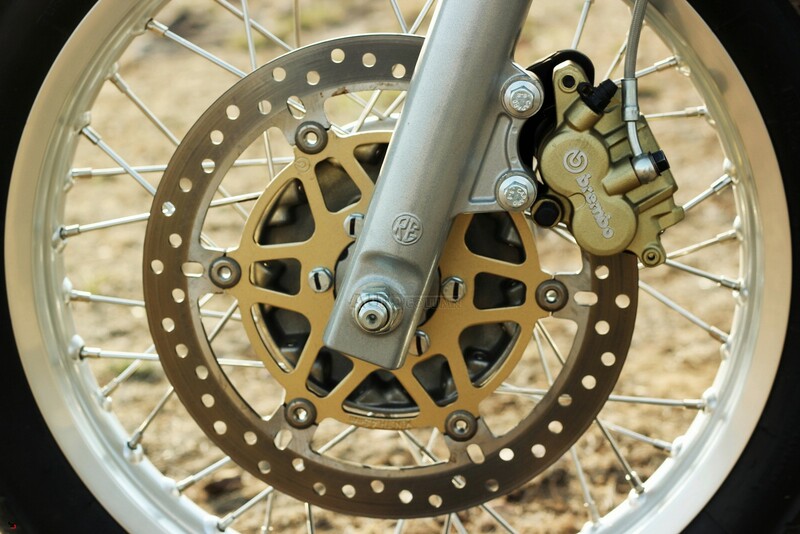 provides you with large 300 mm floating disc brakes by Brembo at the front and 240mm disc on the rear wheel. 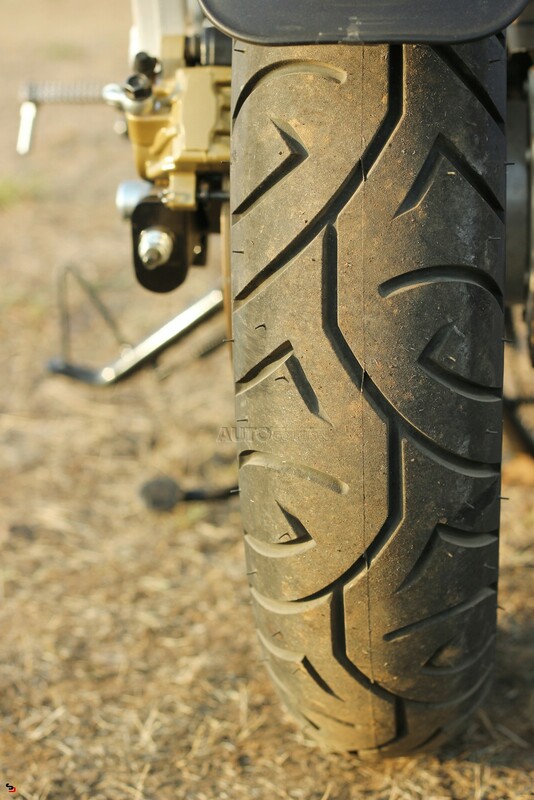 The wheels are 18 inch aluminium alloy, sporting the stickiest Pirelli tires from Italy and all that is mounted to a ‘Twin down tube cradle frame’ developed exclusively for the low riding requirements of Continental GT. 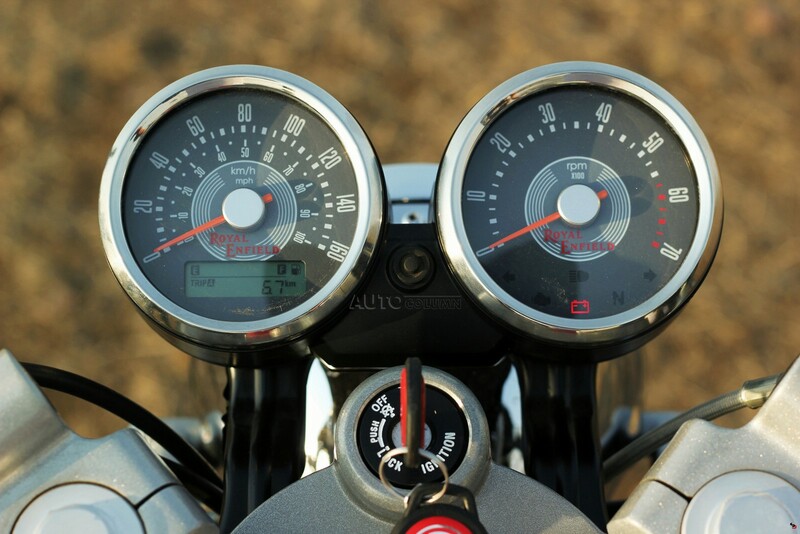 The dials include analog speedo and rpm meter cluster with digital odo wrapped nicely in chrome rings but some of the feature like indicator flasher are missing which again could have been borrowed from the Thunderbird 500. 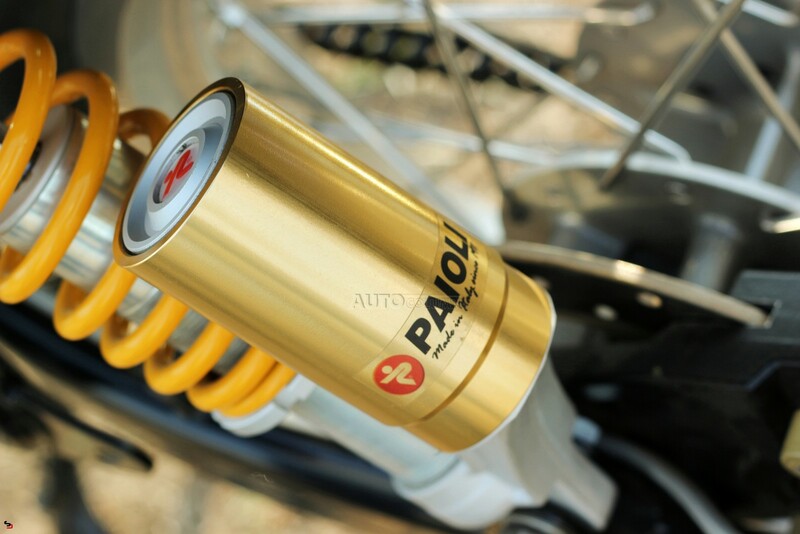 To tackle the bumps RE brings you Paioli twin gas charged shock absorbers straight from Brazil while the one in front are the standard 41mm Telescopic forks tweaked for a harder feel. 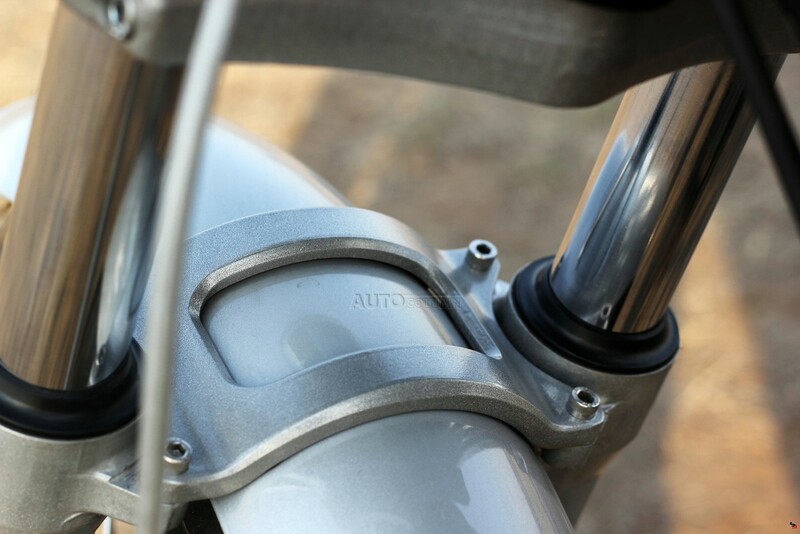 The single riding seat and aluminium brake and clutch lever are on the standard equipment list. R.E. 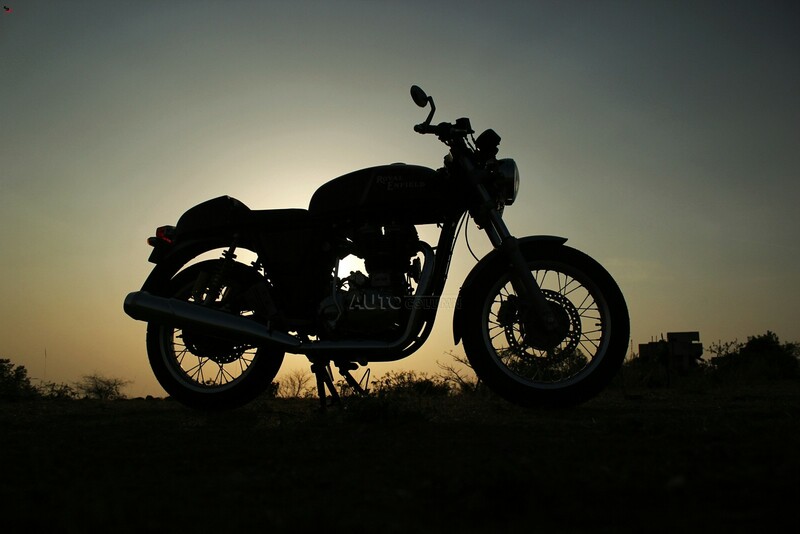 also has a bunch of optional goodies including three different type of silencers, double seat with pillion seat cover, the clip-on mirrors, and all new Royal Enfield riding apparel consisting of jackets, trousers, gloves, boots etc. Clearly it’s impressive on papers but how does it ride? Well, we pushed it through the traffic, gushed in on the highway and bumped it off the tarmac and yet it kept asking for more. 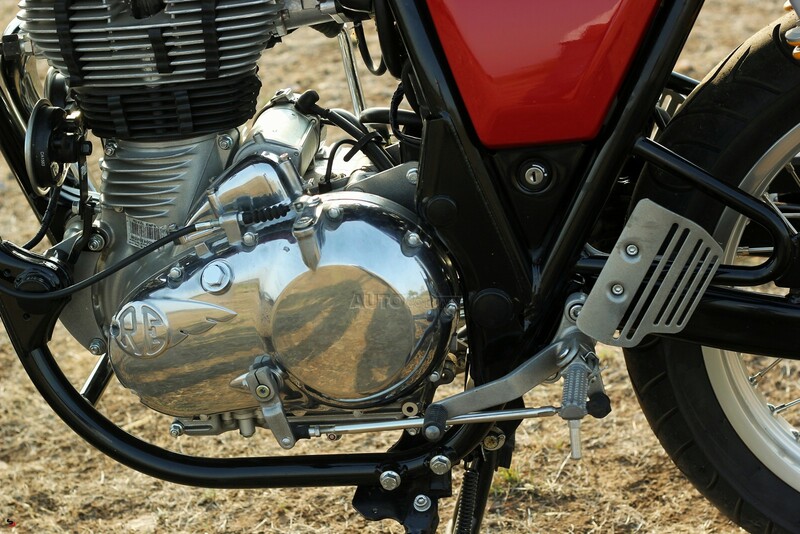 The engine is much more responsive than we had expected and power kicks in right at the twist of the throttle. 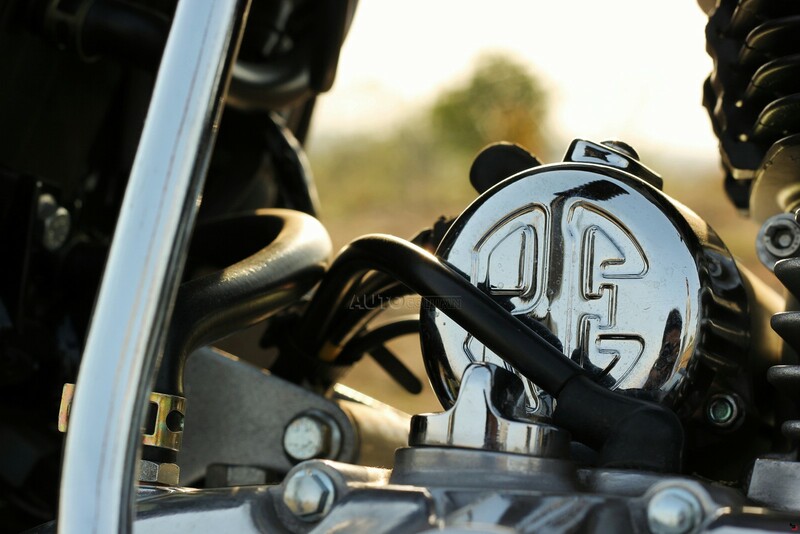 Power delivery is linear and the engine provides sufficient torque even at lower rpm, inspiring confidence while attacking the corners; gear shifts are short on the lower and longer on the later gears. Also the gear shifts are now smoother and precise. 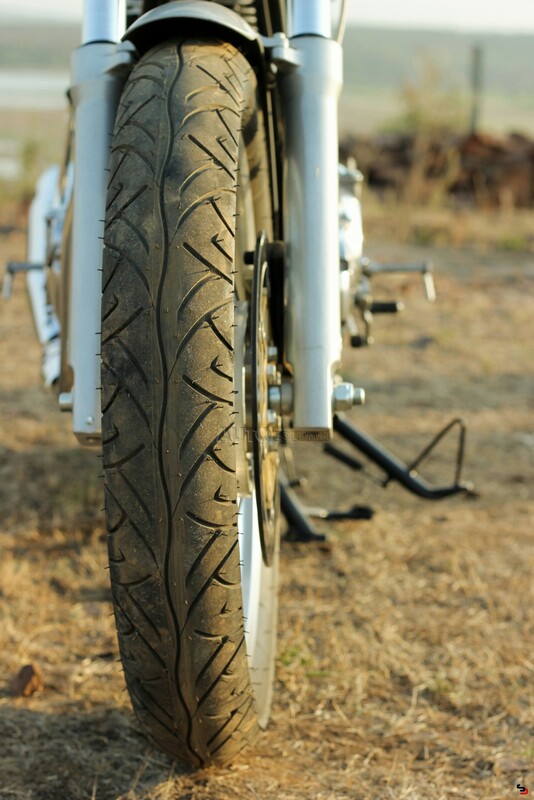 Not only does it look good, it’s the best handling Royal Enfield too. 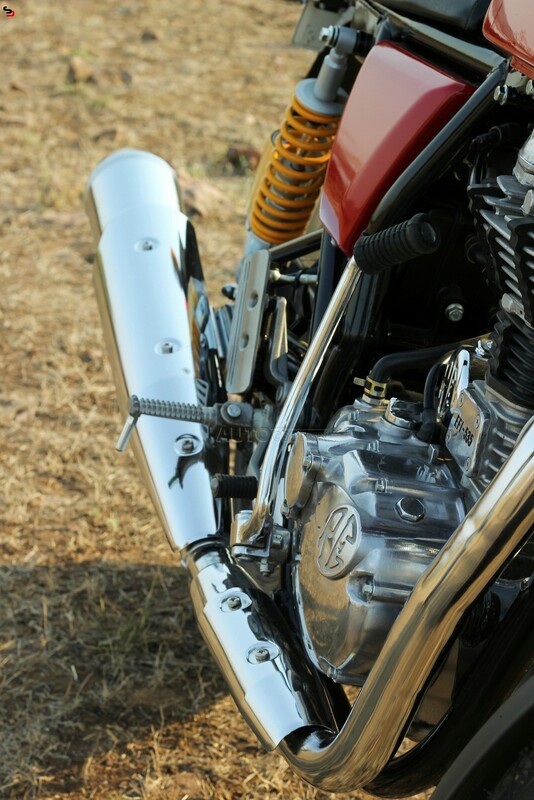 The long fuel tank with the knee support helps you mounting and keeps you firm while tilting through the corners. The sticky Pirelli tires provide an excellent grip even on wet and loose tarmac and needless to say the Brembo disc brakes are equally efficient at breaking speed. 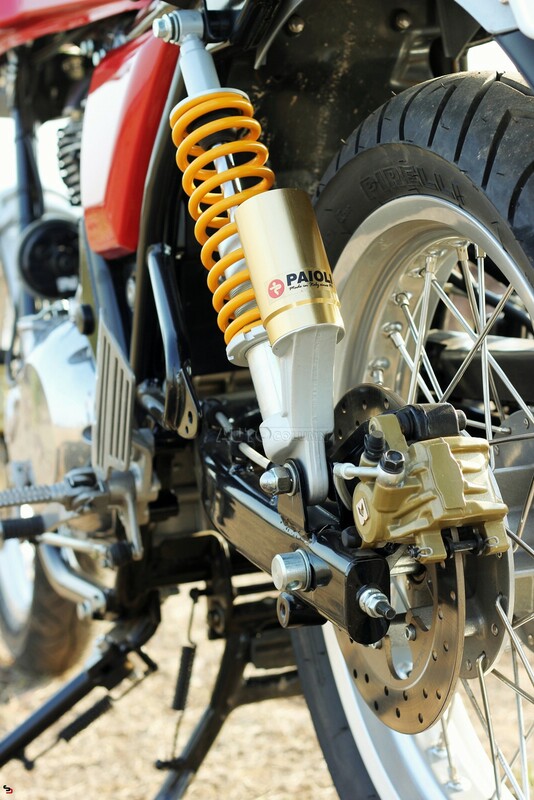 The suspension setup is harder compared to other RE models yet works nicely in potholes and bumps. In fact it can easily tackle off-roading specially the tires performs much better than any other on RE bikes, 140mm ground clearance gives you the ability to conquer almost any train if you are daring enough. The real demerit appears near 4000 rpm when the vibration starts seeping in and though it’s much reduced compared to other RE offerings, is evident and rather annoying while speeding. 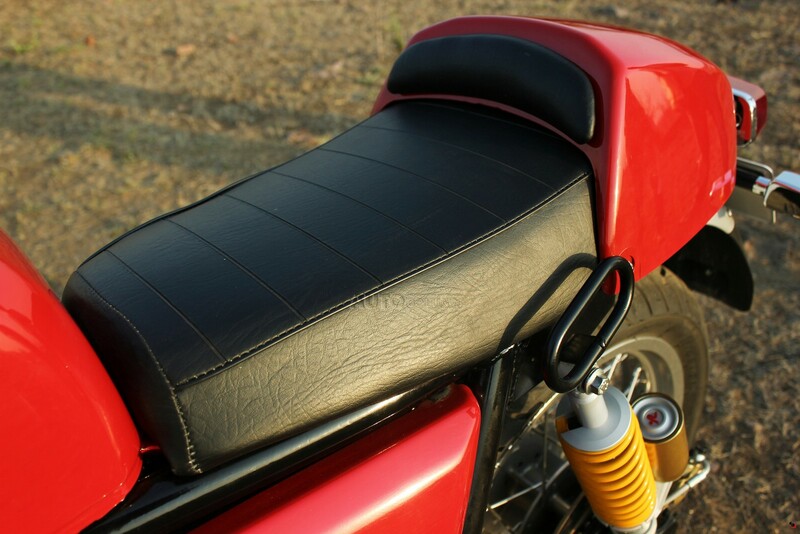 Moreover the incline sitting position can cause arm and back aches on longer rides, I would suggest an upgrade to the double seat if one plans to take it across the countryside as it is softer and provides a larger surface area. It’s neither the fastest bike nor the most comfortable one in its price range. It’s not even practical for regular city use. But then if you are looking for a daily commuter, you are searching in a wrong place. If you are waiting for the consumption details, you shouldn’t have started reading in the first place. The bike being unique in itself will interest the kind who prefer wasting their Sundays burning rubber on the highway to Lavasa rather than resting in a weather controlled apartment. Will prefer the 15 hour ride over the 2 hour flight. 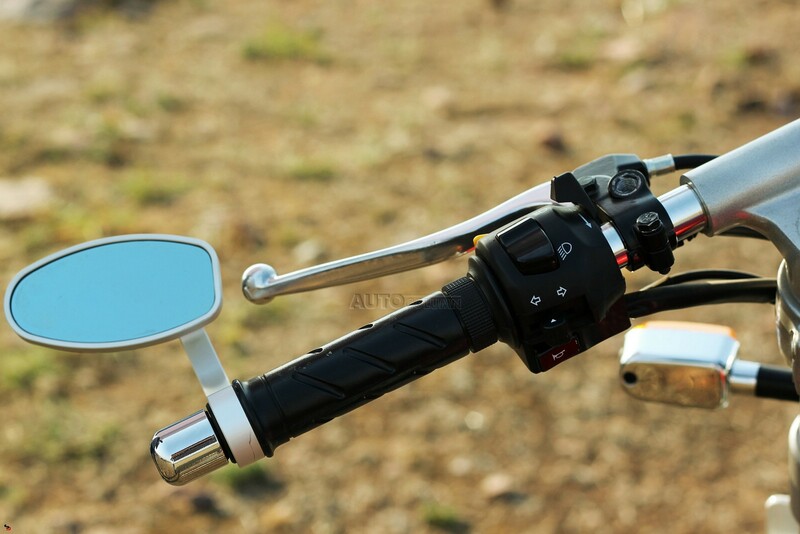 Sure the handlebar’s painful and the seat hard but they know they’ll get used to it in not time. 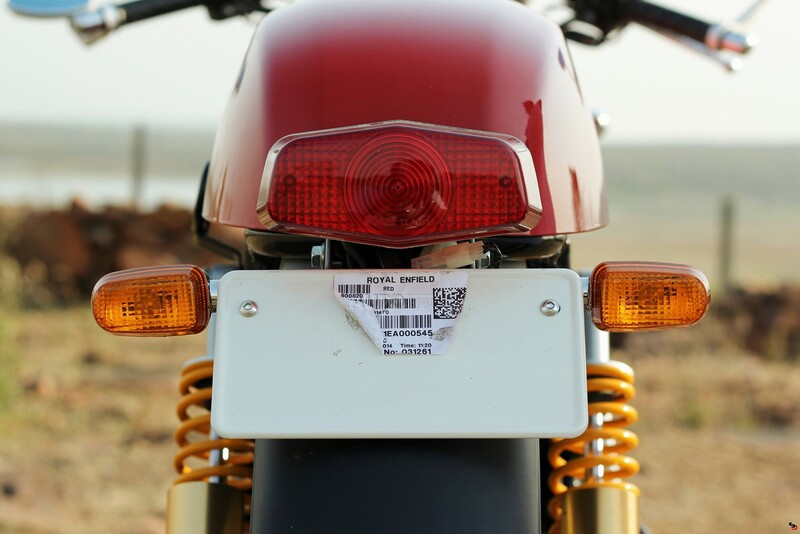 If you seek an experience I can assure you it’s nothing like any other sports bikes you have ridden till date. 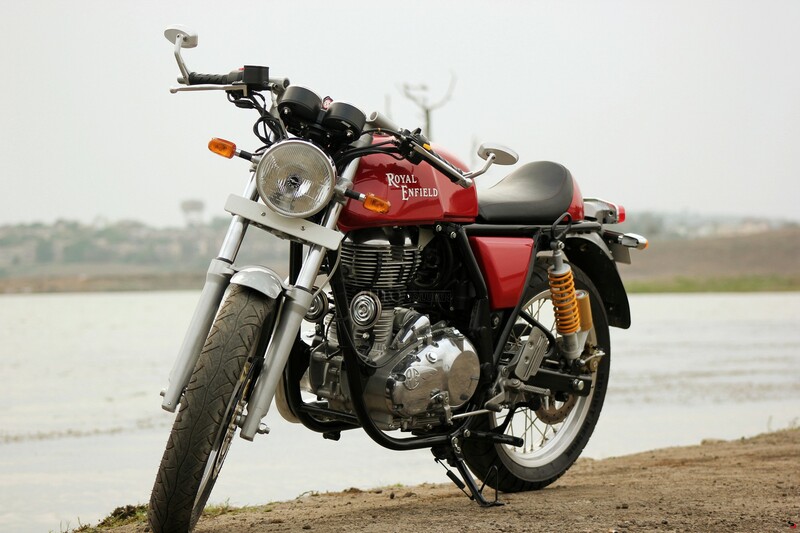 Not to forget it’s the best looking, fastest, lightest and best handling Royal Enfield ever.